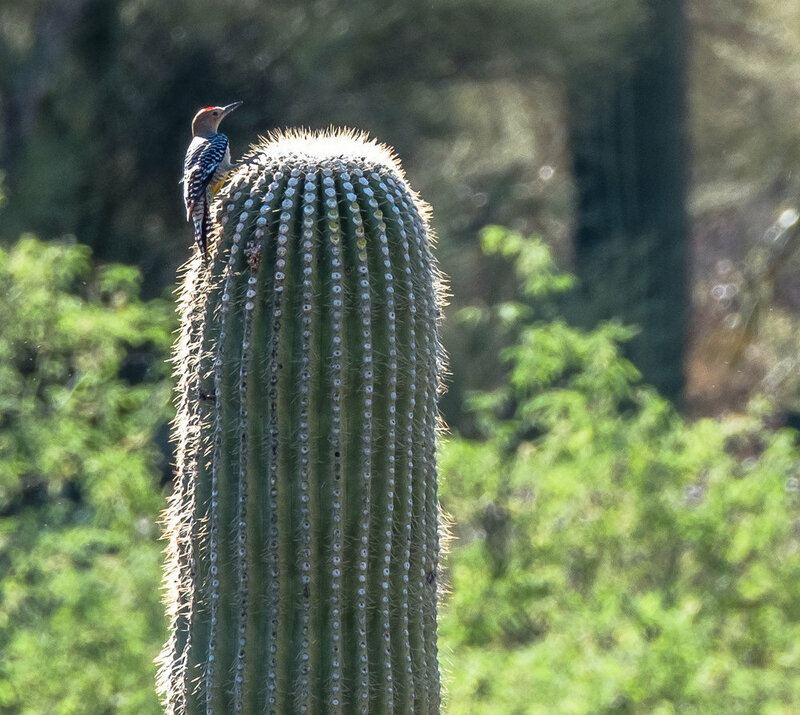 This is a Gila Woodpecker on a cactus in the Organ Pipe National Monument. They hollow out spaces to nest in these large cactus. So, how do you begin to carve that hole with your head in constant motion?